Each spring the skies of San Diego fill with airplanes of days gone by with the help of Air Group One – San Diego’s local wing of the Commemorative Air Force. From antique Stearman biplanes of the 1930s to the powerful and majestic P-51 Mustang fighter plane of WWII, there is something for everyone to enjoy at “AirShow San Diego” at Gillespie Field in El Cajon. 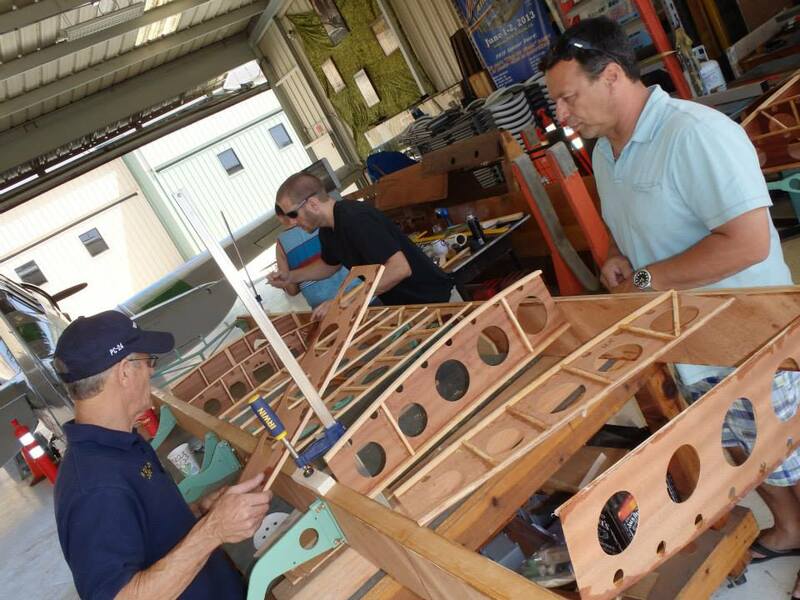 While many of the aircraft whizzing through the airfield visit from nearby squadrons and private collectors, there are a handful of these flying relics that Air Group One proudly collect, restore and maintain – and members and volunteers alike have been working tirelessly on their most highly anticipated project yet. If you would like to be a part of the restoration or would like to donate to Air Group One’s L-5 restoration fund, contact Air Group One at (619) 259-5541 or visit the website ag1caf.org to help get Betsy back in the air and see an important and hugely impactful piece of American History come back to life.